*Of Note: :D I have re-read this post this morning and can see how silly it is, but because I am not perfect and in my world occasional sillyness is allowed, even if public :D:D:D, I will keep every word as I wrote it because it was authentic to the moment, and to the wine lol , and to the giddiness of creating magical moments and magical spaces, and I forgive myself! lolol So.....on to sillyness lolol. I think I've been bitten, smitten, I got the bug bad. I don't how it happened. But, I have to go full Shabby Chic now. "oh, erhm....you know, ......'shabby chic' ? the style of decorating ? "its a style. Rachel Ashwell does it"
"oh well" she says, ''well its a style and that is what you do. I do it too, want to see my place?" I go to her apartment a few doors down and see a cute little space, feminine, nice, but still have no clue what ''style'' she is referring to. 5 months later, I am in this house with this housemate, John, and he has cable television. I liked to watch only the cooking and home improvement shows. Then there appears this one show with this Rachel Ashwell woman, and when housemate saw her furnished rooms, he said ''oh look! they stole your style!" "what else is new. it happens all the time. I invent something and someone else makes millions from it". But still, I loved seeing her process. I didn't even know there was one! I didn't have one, I simply bought what I liked, from flea markets which a coworker introduced me to, and from other stores, but altogether, I just bought what I liked. Simple really. However.....now there is the entire industry world wide infatuated with a style of living that will never go away. And lately I have been remiss without knowing why and when I see some pictures in bloglandia, I go mad with desire. I feel infected! I feel ill with the "gotta have it now itis" Its a real disease you know?! Seriously! Its real and its serious! Once infected with GHIN-itis, there is nothing to do but to give in, and immediately! You will steal, beg and borrow money to acquire those things which simply look delicious just sitting there! I mean, its only for looks! and yet.....I must be surrounded by it! It's a bad ''itis'' thingy! sigh. Well, that happened to me. 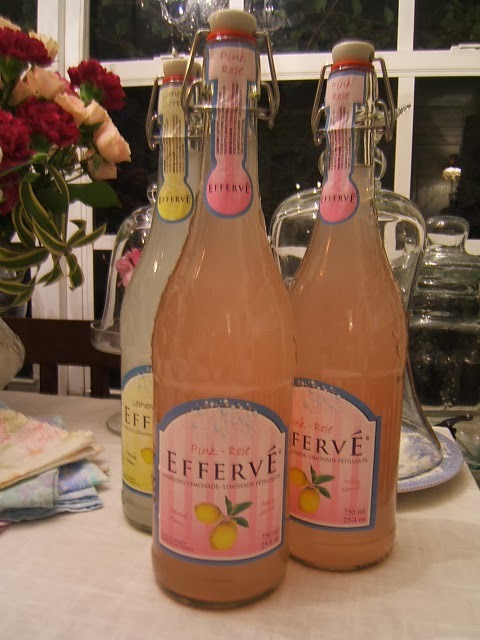 I resisted and was immune and impervious for years! saying I will not give in to a style which I had anyway, but in my own way of course, which had NO pink anywhere at all LOLOL, and that I would do something different as usual, and create another style. Well bloglandia will not allow that, it simply won't. 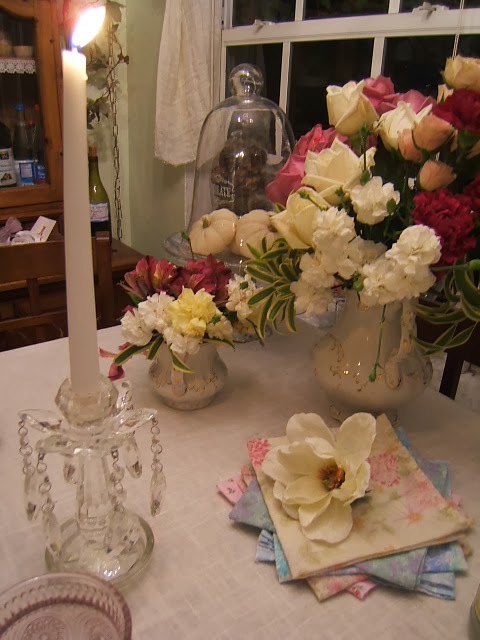 I happen to be following all kinds of blogs and one thing they seem to have in common, go figure, is the shabby chic style, with lots of pink no less! A color I never had any intentions of using in my life, EVER! 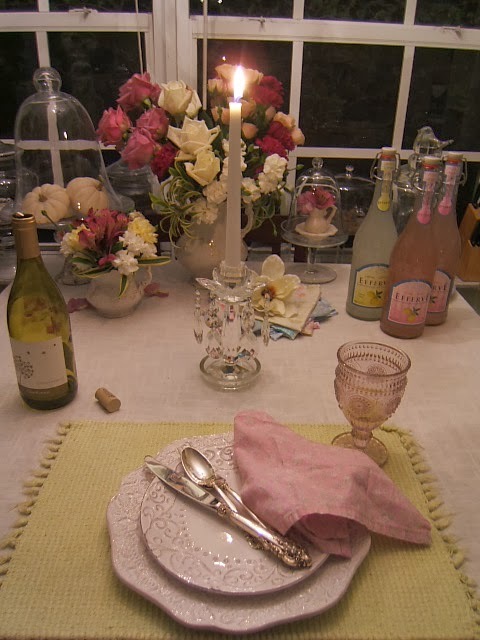 But as of last year, I incorporated pale pink in a few places, very lightly, nothing obvious. Now, I'm even painting the outside of this house pink....yes I am......and almost done too! Its a good color for the tropics. Well, what has happened in these past few days is nothing short of a crisis. No idea why or how, but suddenly I HAVE TO HAVE THE SHABBY CHIC LOOK in this house and now. WTH? How to do this? I've never had to copy anything before, and the process of ''studying'' and then ''reproducing'' makes me embarrassed of myself as an artist! but still, I knew I needed that ''look'' in my space, and now. 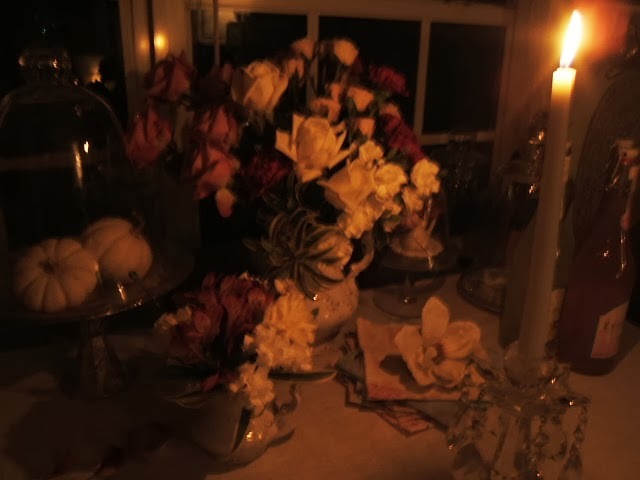 First I realized I must get the colors right, then I realized there involves alot of vintage, then some pinks, and lots of fabrics namely linens and cottons, and most of all FLOWERS EVERYWHERE. This part was easy as a florist myself, but I've never had this much in this house as I do now. Oh there was a time when I purchased 8-10 dozen long stemmed roses each and every week! yes I did! but those days are gone, and frugal is my name. 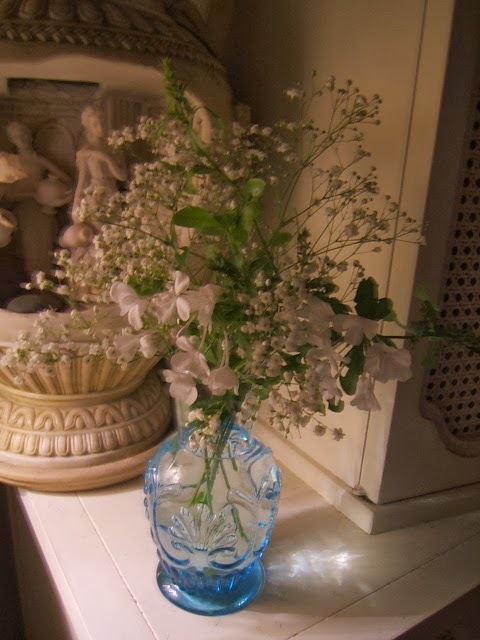 Well, having right now some flowers everywhere was nice, but I needed the ''shabby chic'' look to feel right. Oh dang this infection! ok....so today, I robbed peter to pay paul to buy flowers in those right colors. I replaced the flowers I had just done because they needed it too soon, but today I am in love again. 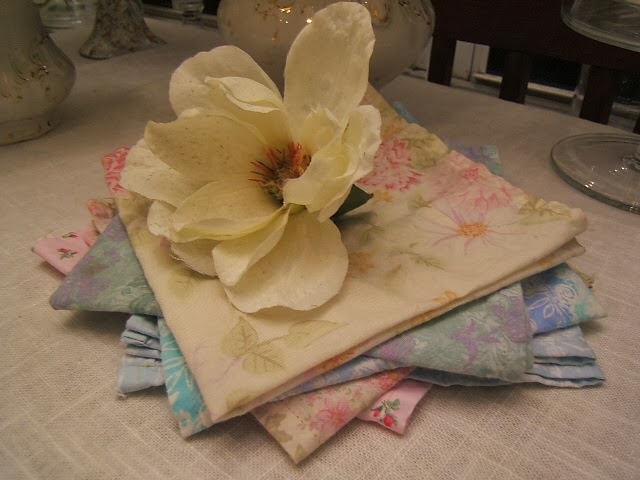 Once I did the kitchen table, I decided to see what it would look like if I added some pretty dishes and some shabby napkins and my silver silverware.....and I saw something that made me smile. I don't think its perfect, but its a good start. I had dinner. I made a beautiful soup, and for those of you who read this far lolol I will give the recipe for a beautiful Warming Miso Noodle Cilantro Soup. Here are some pics, tell me what you think......am I ''getting'' it right yet?? This is the light of one candle. In person it is soooo very much prettier, awe inspiring actually, wish you were here to see it. This picture pales in comparison to the live glow and light of candlelight. I took these pictures really fast, and my soup was still perfectly hot when I sat down for it. I love the white little pumpkins under the cloche.....need to get a few more. and here is my beautiful Miso Noodle Cilantro Soup.....recipe coming up....so simple and so comfy! 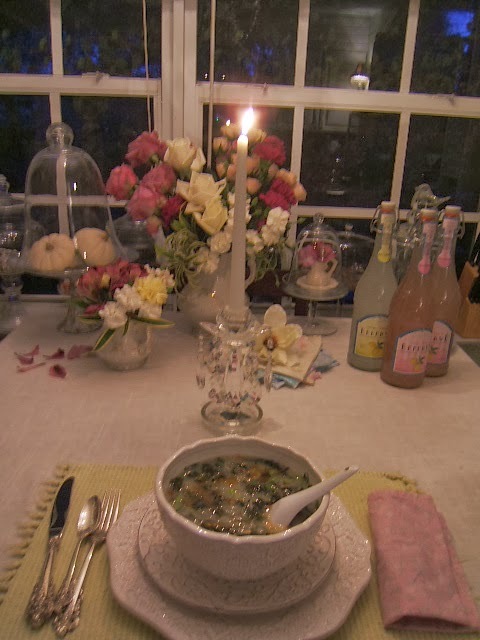 I finished my soup, it was sooooo delish and so rewarding, I had so much to see on the table to enjoy! 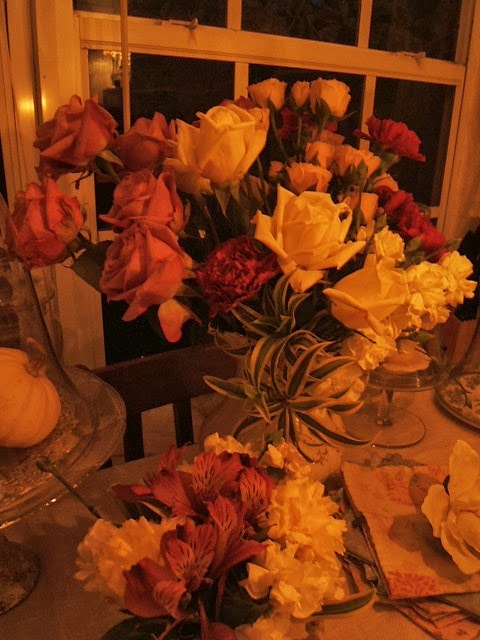 one of the arrangements. 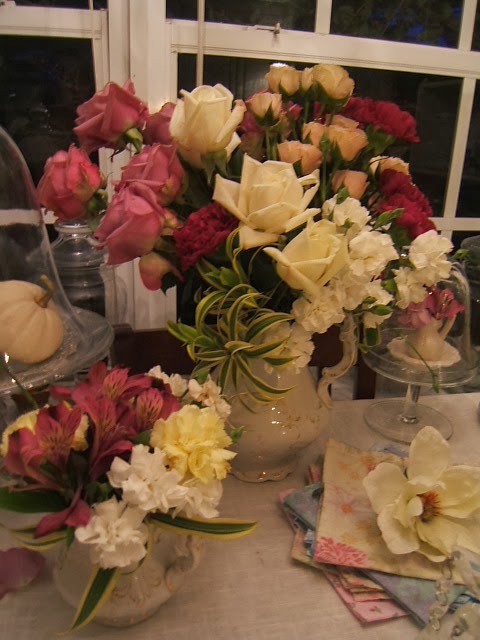 I will take pics of tomorrow in the daylight and post them.....loving lots of flowers! 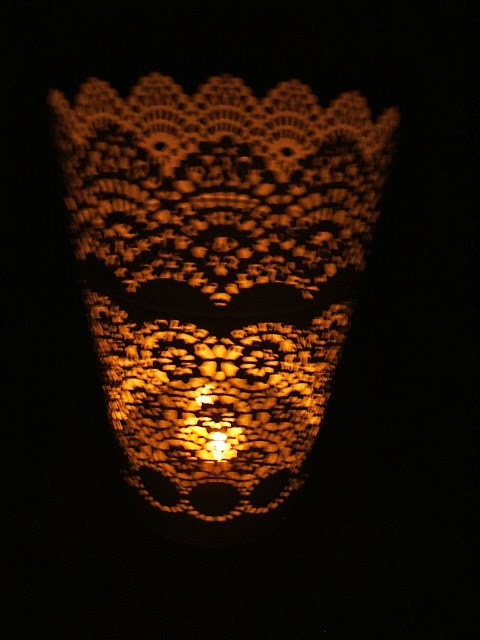 This is a candleholder I got from IKEA.......its very pretty, lacy and versatile. I use chickpea Miso from the healthfood store. I add two tablespoons of this miso to a pot of clean water, enough water for a bowl of soup. This is very pasty and must be worked with a fork to break it up and mix thoroughly into the water with no lumps. I add half teaspoon of hot chile garlic paste, available at any chinese or oriental store. I add as much dried seaweed as I want, either wakame or hijike also from oriental store or healthfoods. 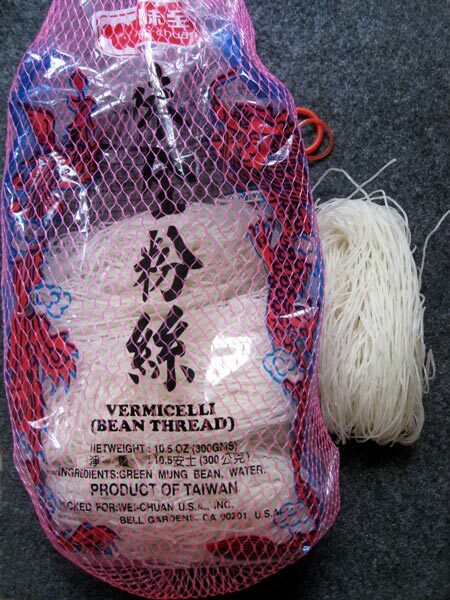 Then I add a bunch of dried angel hair mung bean noodles from oriental store....they come in individual servings. I let this warm up. This soup is done once the seaweed is rehydrated, and it should NEVER boil. I stir and cut up the noodles in the pot with a scissors, You don't have to, I personally don't like long noodles. Once noodles and seaweed is soft and liquid is smoking but NOT boiled, it is done, but there are few things to add. Serve it up in a pretty bowl, and add some fresh squeezed lime juice, sprinkle some toasted sesame oil, some fresh cilantro and some fresh thai basil. Today I also added some scallions because they were sitting there. Mix and consume immediately. It is done in 10 minutes. I like to keep the last items, the lime juice, toasted sesame oil and basil and cilantro served in pretty bowls to add fresh to the soup while at the table. It is great to see how others personalize their soup with condiments left for the choosing. 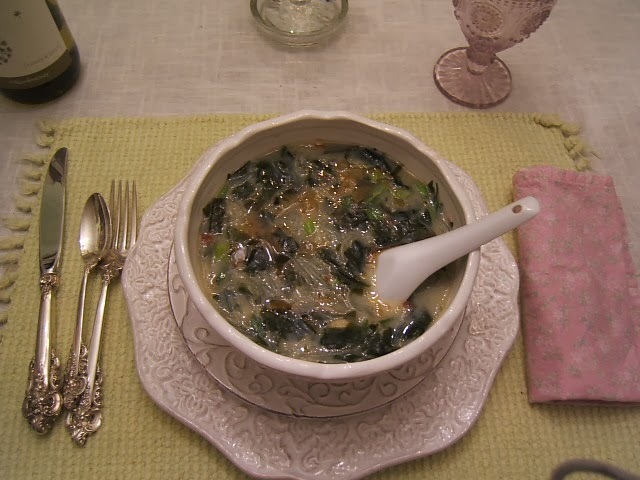 One can also add mung bean sprouts to this, its actually an open eneded soup to make it as you like it, but as I do it, everyone loves it! Well I think you did very well. Your table setting is lovely. Not sure what look it is either,but does it matter. I think it's perfectly beautiful and your soup is a must try. Your new header is splendid. With that harpist, the gentle dancer and following post, I am in an ethereal mood this very hour. It is still dark, it's a Saturday morning with no stressful and pressing engagements to worry over, and I am loving every moment with you. I too have some white pumpkins and in the middle of reading and viewing your post, I had to run to my dining room where I have a basket full of them. YOU GAVE ME AN IDEA! 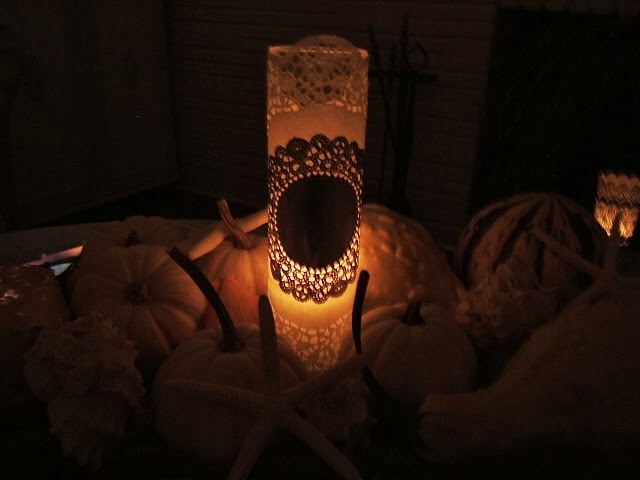 I put one of my small battery candles in the middle of the pile of pumpkins, and OH! WHAT A BEAUTIFUL and calming scene! Good morning Serena.....It is so peaceful in this world of yours. You did a wonderful job with YOUR "shabby chic" look. I'm going to try your soup it sounds delicious. Well, dear Sister... so much to say about this post. First of all, I don´t believe it´s silly, quite on the contrary am convinced that we should get a dose of this "magic wine" and allow ourselves to be naïf from time to time... it´s definitely therapeutic! About "shabby chic fever", you know for sure I´m a big fan of Rachel Ashwell, but not because I think she has INVENTED anything, but because I feel she was clever enough to take something I had always been doing (rescueing old furniture, buying pretty things at flea markets and garage sales, looking for a clean simple look) and turn it into a very profitable business... Anyway, lately I´ve been reading some of her books on line -they are not sold in printed edition here- and I discovered something very interesting: she NEVER intended to create an aesthetic concept which should be TEXTUALLY imitated, but only gave some practical tips to create a certain kind of "feeling" when you come into a room or a house. In fact, I suspect she herself wanted each one of her customers and followers to build their own personal version of "Shabby Chic"; but unfortunately many of them misunderstood it and thought they had to COPY her style, as we see everyday in Bloglandia -which I prefer to call now "Bloggywood", you know well the reason ;)- That´s why there are many pics of homes that look so unreally "perfect", almost scenographic, while the essence of Shabby Chic is precisely the beauty of IMPERFECTION! PS: You really lived in BALI? OMG, you never stop to amaze me girl! thanks for all your words :D, I did and do feel silly but really don't quite care too much lolol. And you are so right, again about 'bloglandia'' really being more of a ''bloggywood'' and it gets a little creepy sometimes, seeing how staged so many photos are....what is that ABOUT ? And so I won't take this bug seriously. I think of dismantling my things as they are just to create that ''look'' and I don't feel good about it. And agreed on doing our own thing, of course, I do this, but the ''other look'' is definitely something I love too. And she does seem to be changing her style a bit. I recently saw some photos of her own home interior and it doesn't look quite the same as the original look, I think she's changing it up a bit. And yes, she did not invent it, it was something so many of already had and she made it into an iconic moneymaker. that can hurt. As it is, my robbing peter to pay paul for those flowers is hurting me now. lolol.....oh well.....life is for the living.....and I so enjoyed it and the view still makes me happy each time I walk into the kitchen, and the living room too. House mate is loving the flowers, he didn't know it would have such an effect, and he brought home some of the white lilies that have become something I can't live without. Apparently he didn't like the naked space either lolol..
Looks like you are doing a very goo job with the shabby chic style. Your dinner for one looks lovely! Hi Deborah, what a lovely response! and I thank you so much for your kind words and interest.....I LOVE WHAT YOU SAID LOL....and makes me feel like public blogging is beneficial to others out there after all. Thank you so very much ! You made my day. I love the prisms too. You may have seen when I redid my bedroom with pearl grey walls how I hung swarovski crystals on the windows for those prisms, and I have those crystals hanging by every window so every day I see them in all corners of this house, they are so much fun! such living light! Let me know how the soup goes, I love this one! Thanks again.....for allowing me to inspire you. hugs. Thank you for joining in for Fresh-Cut Friday! 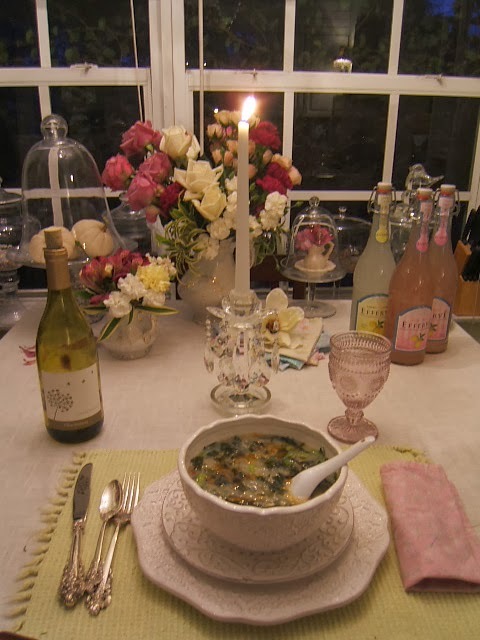 Beauitful dinner "party"-love the evening atmosphere in your home,you have beautiful things!!! 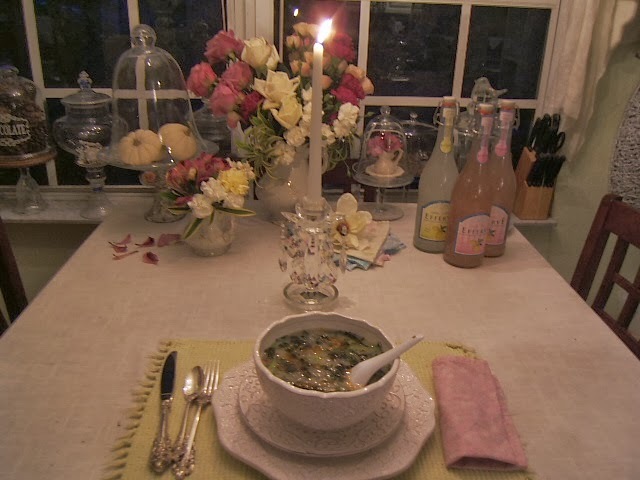 I love your "Romantic Dinner for One". The table was set so perfect and the decorations were beautiful. I never thought about treating myself like that, great idea!! I can't wait try your soup recipe. Thanks so much for sharing your wonderful evening!! Also, I just want to thank you so much for always stopping by with your inspiring comments. Always love hearing from you, you make me smile! Dearest, beautiful Lady!!! You made me giggle with this one, for I TOTALLY understand your giddiness and joy when it comes to things like this! The first photo with the candle and table setting...the word that came to my mind was "sacred"...do you know what you teach me? (besides the joys of gorgeousness...:) You teach me that honoring ONESELF in this very special and beautiful way is very...VERY important. I thank you so much for that. Indeed, your dinner is so marvelous and delicious from every perspective. Everything is a vision of loveliness! lolol, glad to make you laugh, I keep laughing when I think about it, the post, the time I did ''it", not knowing what I was doing, and then rereading the post, wanting to take it out, then leaving it with a caveat! lol. 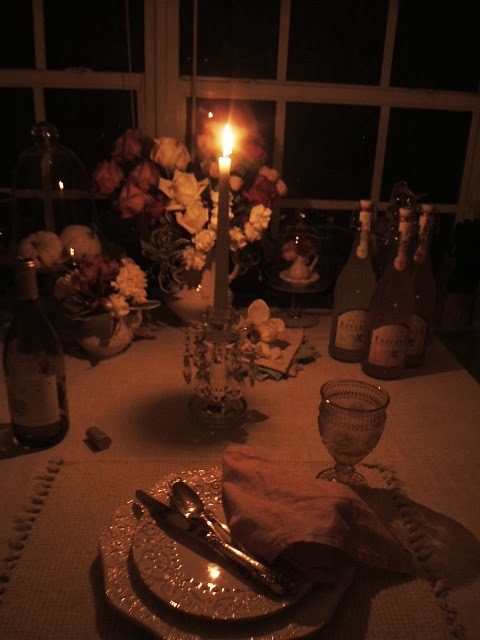 I didn't really set it up ''for'' dinner, it just happened. 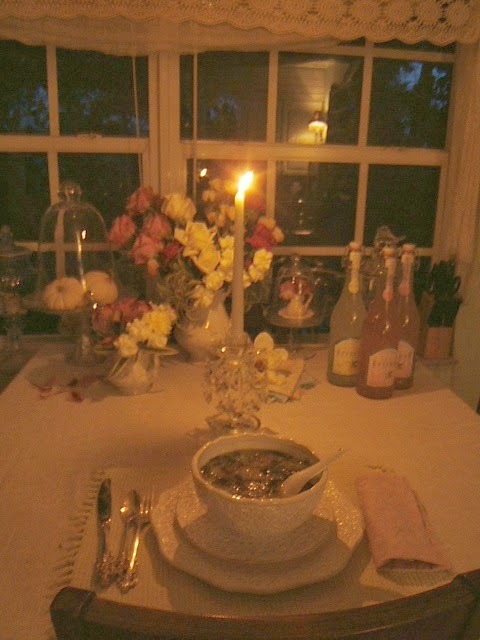 I did the flowers, then I got hungry, and made a soup and when I saw that spot,, I could not, not sit THERE! It did feel good, enjoying that all for my self. Usually I go through that for guests and when I sat down by myself to eat, I realized how wonderful it was to BE the guest and how I enjoyed the whole ''set up''. I sighhhhed......and thought ''yes, this is how I want to be treated".....and decided that was the only way to live and knew that I had to treat myself that way in every case from now on. The flowers everywhere, not just in one place, are now a staple. Even the housemate is in on it....hehehe ......yesterday he brought home two bunches of lilies, not just the one! lolol....and I left them tall....they are stunning!. You will love the soup, let me know if you try it. 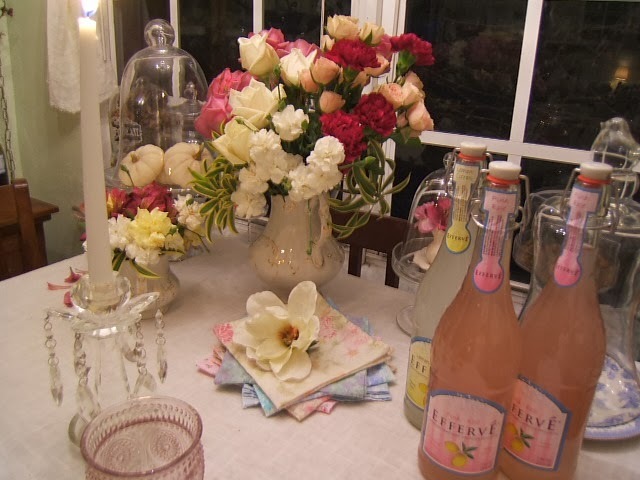 xxxx and cheers to Shabby Chic!